Don’t forget to enter in the latest giveaway for a $25 Kroger Family of Stores gift card! I don’t know why in my head I gave quiche such a bad rap. I have only ever had them at bridal or baby showers and was never impressed. They were room temperature, gushy, and bland. So after my first few experiences with quiche I just gave up on them. Then when I went to plan my weekly dinner menu, and I wanted to use some things up in my freezer. Something I had was ham (a delightfully sweet ham that I can’t wait to share with you all). So I went searching through some recipes from the MOM and saw this one for quiche. I decided I would give quiche one last go. To my surprise this was actually quite delicious! The tangy Swiss cheese paired perfectly with the sweet ham. The egg custard was creamy and pulled this whole lunch (or breakfast) (or dinner) together! I guess I have to pull quiche off my “foods I will never eat again” list! 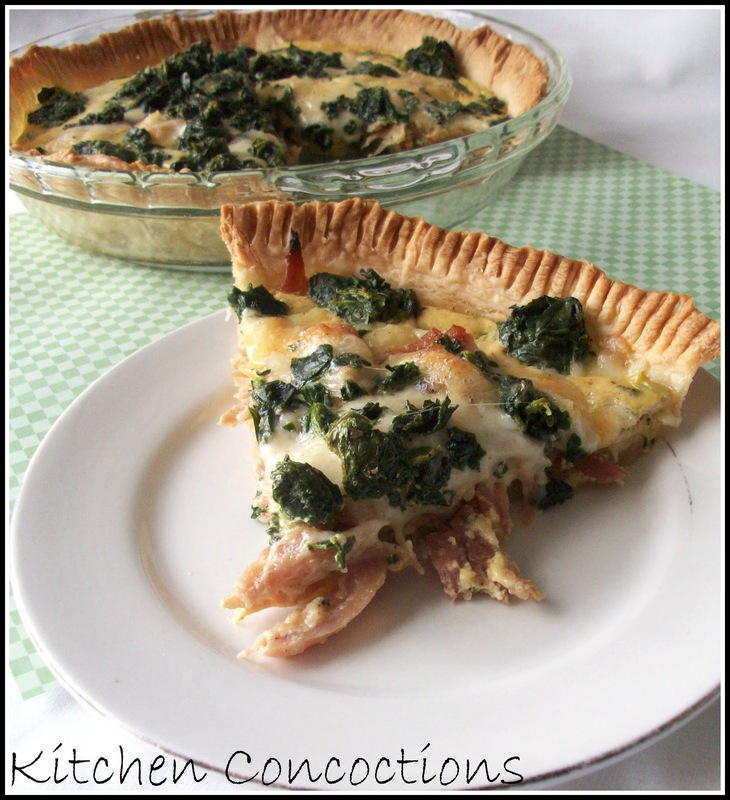 Notes: The original recipe used a puff pastry and mushrooms in place of the pie crust and spinach. Unfold pie crust and press into pie plate. Using a fork, crimp edges of dough.Top with ham, cheese, and spinach. Whisk eggs, paprika, pepper, and salt, in bowl. Whisk in sour cream. Spoon egg mixture over toppings. Bake until pastries are puffed and golden and toppings are set, about 25 minutes. 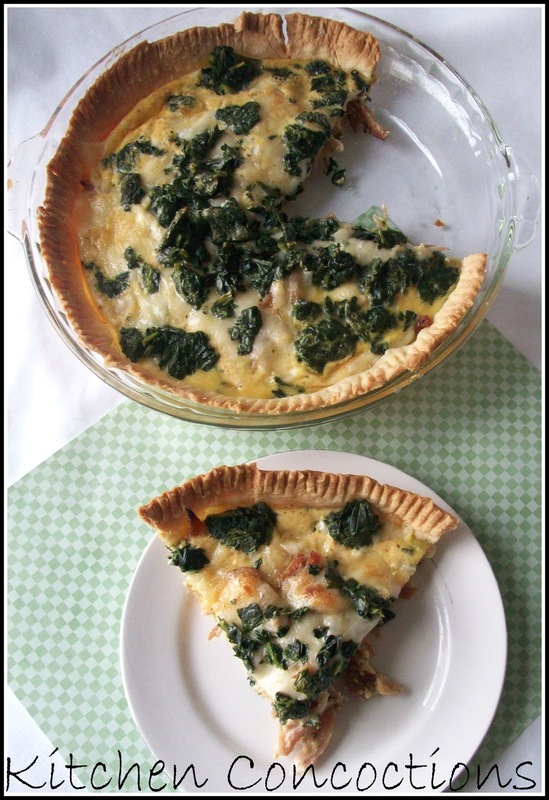 I love quiche because it's easy to make and tasty. Thanks for the inspiration to make one. I haven't made on in awhile. I loved quiche as a kid. I would even request it as my birthday dinner.